Solomon G. Brown (c.1829–1906) was the first African American employee at the Smithsonian Institution, serving for fifty-four years from 1852 to 1906. During his time at the Smithsonian, he held many titles and performed many duties in service to the Institution. 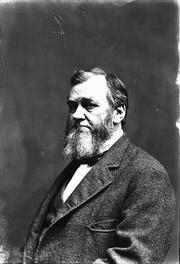 He served under the first three Smithsonian Secretaries, Joseph Henry, Spencer Fullerton Baird, and Samuel P. Langley. He formed a deep personal friendship with Baird which is evident in the letters featured on this page. He also served his community in Anacostia, a part of Washington, DC, and was a prominent advocate of African American progress. "I have engaged in almost Every Branch of work that is usual and unusual about S.I.," Solomon G. Brown. These words, written to Secretary Baird on August 12, 1862, encapsulate his long and eclectic career at the Smithsonian Institution. In 1902, he wrote a poem commemorating his fifty years at the Smithsonian —spanning the Institution's formative years. Brown, born a free man when slavery was legal in Washington, DC, joined the staff of the Smithsonian shortly after it was founded in 1846. Born around 1829, Brown was one of six children. With the unfortunate death of his father in 1833, Brown's chance of attending school and receiving a formal education was over. However, Brown began working for Lambert Tree, assistant postmaster with the DC post office. It was in this capacity that Brown first met Joseph Henry, the Smithsonian's first Secretary. Tree detailed Brown to work with Henry, Samuel B. Morse, and Alfred Vail, while they developed the first magnetic telegraph that ran from DC to Baltimore, Maryland. In 1852, Brown was hired as a general laborer by the Smithsonian under Henry. 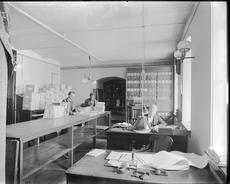 Initially, he built exhibit cases, cleaned and moved furniture for the Institution, and shortly became the supervisor of a small group of Smithsonian workers. While working, Brown developed a close relationship with then Assistant Secretary Baird, a naturalist and later second Secretary of the Institution. The two worked together until Baird's death in 1887. Baird trusted Brown implicitly and when out of town, relied on Brown to be his "eyes and ears" of the Institution. Brown and Baird frequently corresponded about the operations of the Smithsonian, city events, and their personal lives, sharing a wry sense of humor about life. From these letters we learn that Brown entertained visitors, handled the mail, made travel arrangements, performed clerical duties, and paid the household staff for the Baird family in addition to his other numerous Smithsonian duties. Brown also wrote to Baird during the Civil War, reporting on the events occurring around DC and the effects felt by the Smithsonian Institution. He described the dangers to Baird's property and delays in communication from Washington. In 1864, Brown wrote of the Confederate march on the city and his own exemption from the military draft. These letters provide the unique views of a free, African American man on the progress of the Civil War as it raged around him. Although he lacked a formal education, Brown was considered a Renaissance man, indeed, he was so widely respected for his many accomplishments that he was known as Professor Brown. While working for Baird, he educated himself in the field of natural history. He illustrated maps and specimens for many of Baird's lectures, as well as his own talks on topics such as "The Social Habits of Insects," and delivered them to church organizations and civic groups. Not only did he excel as a naturalist, but he was an illustrator, lecturer, philosopher, and poet. Brown also read his poetry, which focused on religion and the social issues of the day, to local audiences and civic organizations. After Baird's death in 1887, Brown served as a clerk for the Smithsonian International Exchange Service, distributing scholarly publications around the world. Brown's activities also reached beyond the walls of the Smithsonian. Within his own Anacostia (Hillsdale) community, Brown was viewed as a leader. Brown and his wife Lucinda hosted picnics for their local community, one of which was attended by Frederick Douglass. He was elected to the DC House of Delegates, served as superintendent of the Pioneer Sabbath School and the North Washington Mission Sunday school, and was a trustee of the 15th Street Presbyterian Church. He was committed to bettering education and gaining opportunities for African American citizens. A man of limitless energy, Solomon G. Brown continued to work at the Smithsonian, write and draw, as well as serve his community until his retirement on February 14, 1906. Not long afterward, Brown died at his home on June 24, 1906. Over a century has passed, yet Brown's devotion to the foundation of the Smithsonian is still remembered today. In 2004, several trees were planted around the National Museum of Natural History in his honor. Brown, Solomon G. "Kind Regards of S. G. Brown." Washington Post, July 10, 1883. "Axman Invades Mall." Washington Post, June 19, 1904. Brown, Solomon G. "Kind Regards of S. G. Brown": Selected Poems of Solomon G. Brown. Edited by Louise Daniel Hutchison and Gail Sylvia Lowe. Washington, DC: Smithsonian Institution Press, 1983. Dorman, Kathleen W. "'Interruptions and Embarrassments': The Smithsonian Institution during the Civil War," Smithsonian Institution Archives. Green, Constance McLaughlin. The Secret City; A History of Race Relations in the Nation's Capital. Princeton, NJ: Princeton University Press, 1967. Blight, David W. Race and Reunion: the Civil War in American Memory. Cambridge, MA: Belknap Press of Harvard University Press, 2001. "Joseph Henry: A Life in Science". "The Civil War at the Smithsonian Institution," National Portrait Gallery. Smithsonian Institution's Anacostia Community Museum. Esposito, Courtney. "Solomon G. Brown, Renaissance Man." 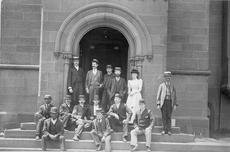 The Bigger Picture (blog), Smithsonian Institution Archives, February 1, 2011. Smithsonian Institution's Civil War Studies, "Solomon G. Brown." 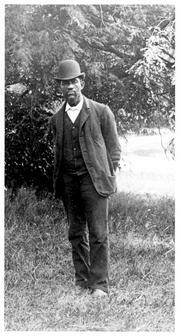 "Solomon G. Brown," BlackPast.org Online Encyclopedia.